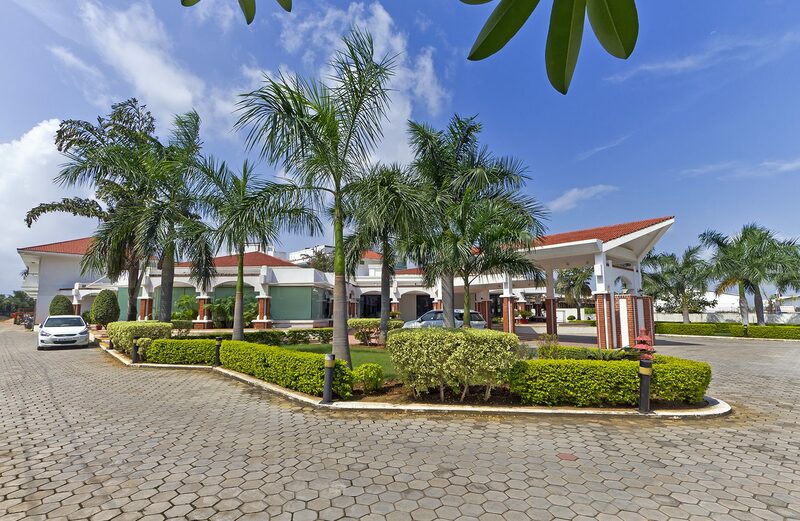 May it be a small family gathering, a special day or the grand celebration of tying the knot, we have a wide range of venues for you to celebrate every special occasion in your life. 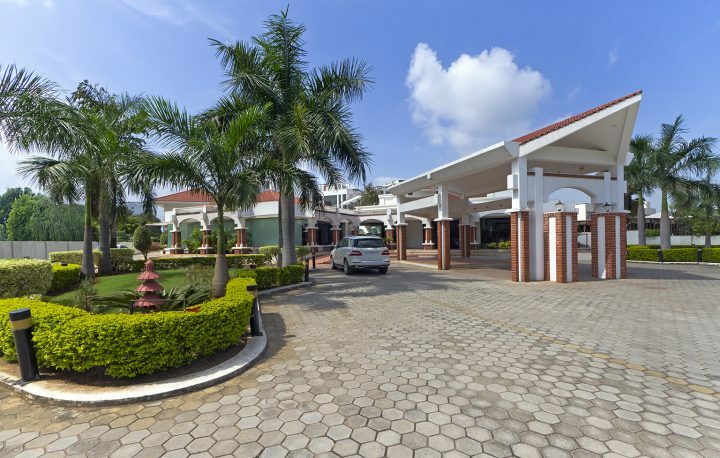 We also provide the best ambiance and accommodation for your corporate events and conferences. 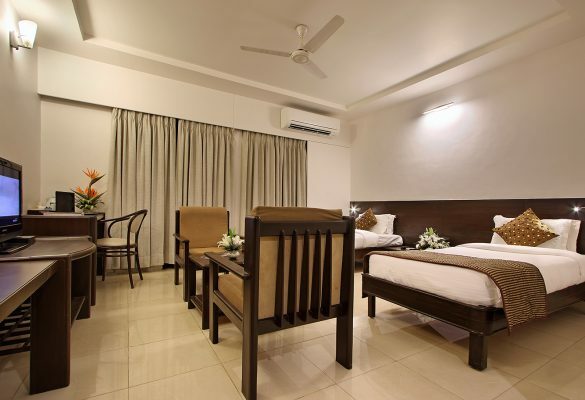 The 38 luxurious and spacious rooms at Prakruti Resort will make you redefine the standards of comfort and luxury. 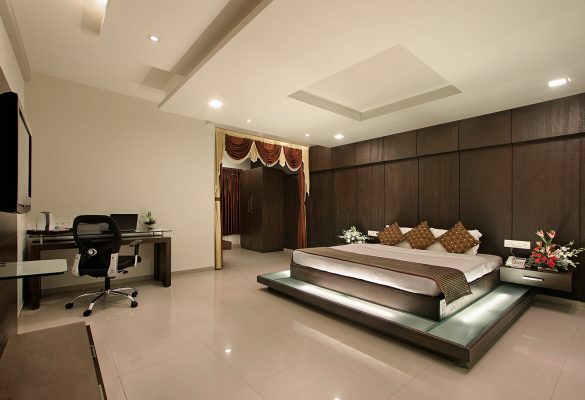 Feel like a King entering his palace when you walk into your rooms with every inch of the room designed in order to provide you with a relaxing and peaceful experience away from your home. 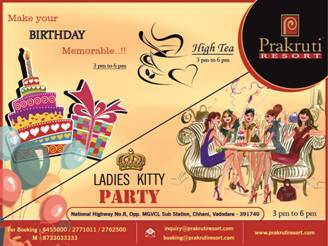 It is believed that filled tummies lead to joy-filled memories. 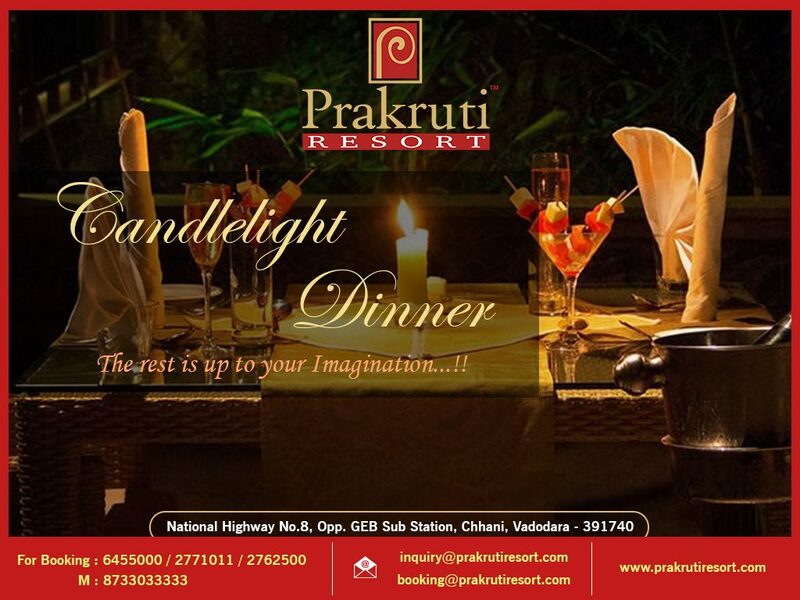 Dine-in at the Palm or Panchamrit Restaurants, each having their separate kitchens to experience the multi-cuisine delicacies of Prakruti Resort. 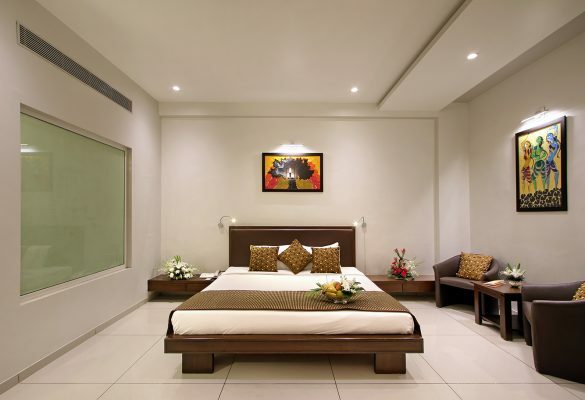 The appetizing foodby our expert chefs will surely be one of the perks of your vacation. 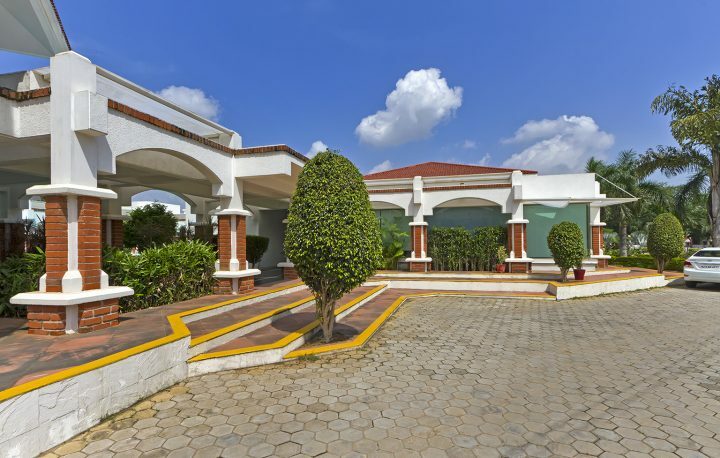 On behalf of the entire team at PRAKRUTI Resort, Vadodara we extend you a very warm welcome and assure you of the utmost comfortable, enjoyable and memorable stay. 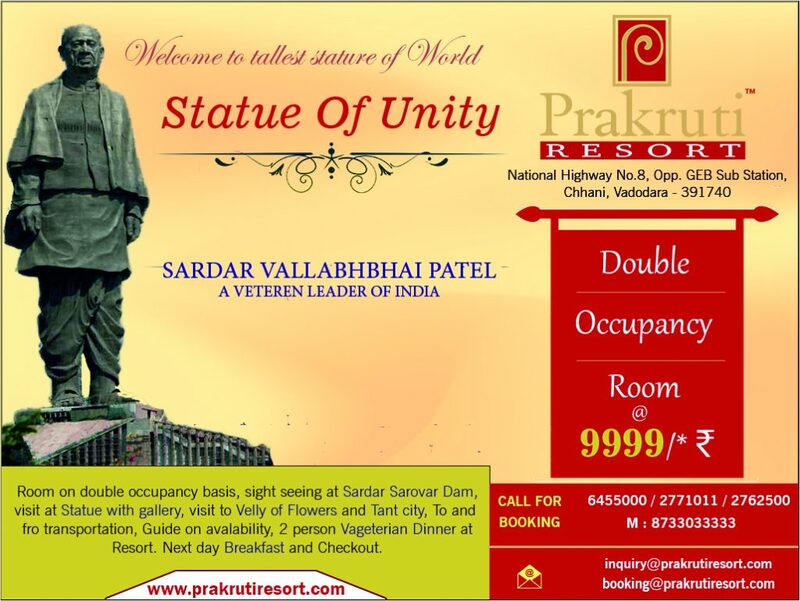 A celebration of beauty and nature, Prakruti resort is the finest example of luxury amidst the grandeur of nature. The resort stands as a great work of passion towards creating something magnificent and almost magical in the unadulterated essence of simple yet mesmerizing crafts of nature and man alike. 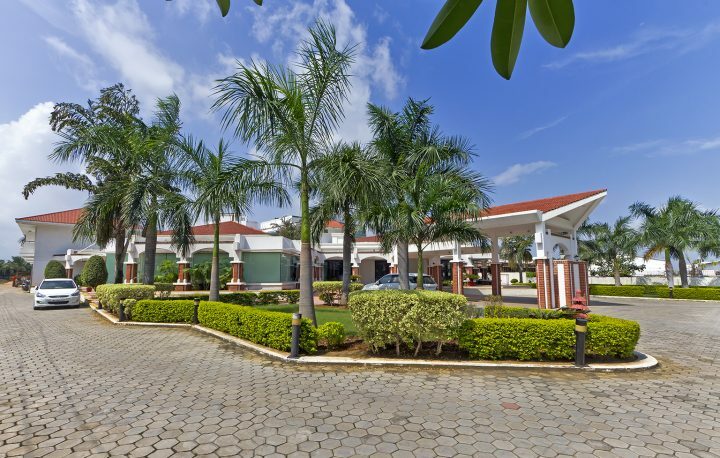 We at PRAKRUTI Resort offer a unique opportunity to relax and rejuvenate in one of the finest resort in Vadodara away from the hustle bustle of the modern city. 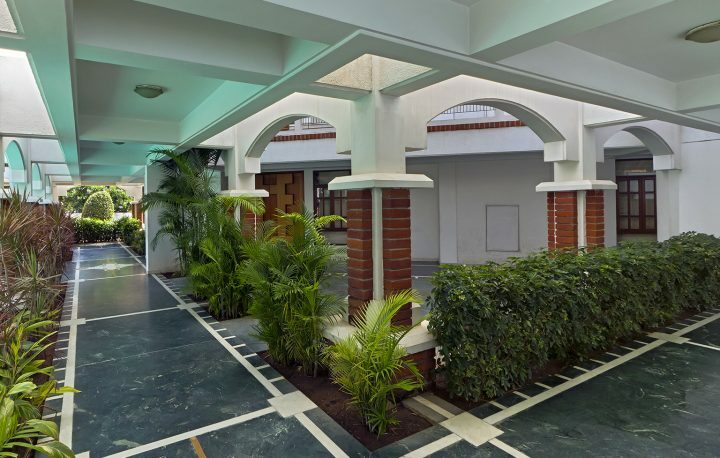 With tranquil surroundings, elegant interiors beautifully landscaped gardens and an outdoor swimming pool we try to provide you with a soothing an intimate ambiance.